by Barb January 7, 2016 January 7, 2016 Leave a Comment on How do you say semantics in Spanish? The real issue is that the thing that bothers me is something I am also guilty of doing so I can’t really complain about it because I am a culprit of the same dirty deed. In other words, I am kind of a hypocrite. It is all a matter of semantics (defined as the meaning or the interpretation of a word, sentence, or other language form.) In my case, it is cooking semantics. If they would just give it a different name, I’d be fine but I get all caught up in the semantics. I am just as guilty as changing the key descriptive cooking methods or namesake ingredients. It does truly embarrass me and I am now hanging my head in shame from my hypocrisy. My mind got really wrapped around this deceit when I made enchiladas the other night. To me, an enchilada is “stuff” wrapped in a tortilla, covered in a sauce and baked. After searching the Internet, I really couldn’t find an authentic Mexican term for an “enchilada” made with flour tortillas. Actually, the smack talk on this topic was quite intimidating. 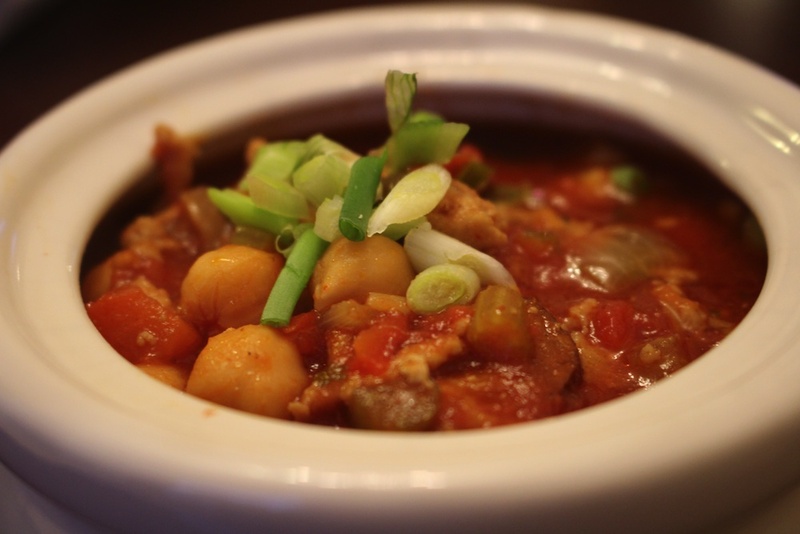 I almost was scared to post this recipe. In a large bowl, add the kale and limejuice. Using your hands massage and tear the kale into little pieces, add the shredded chicken, about 1 ½ cups of the cheese, orange pepper and jalapeno. 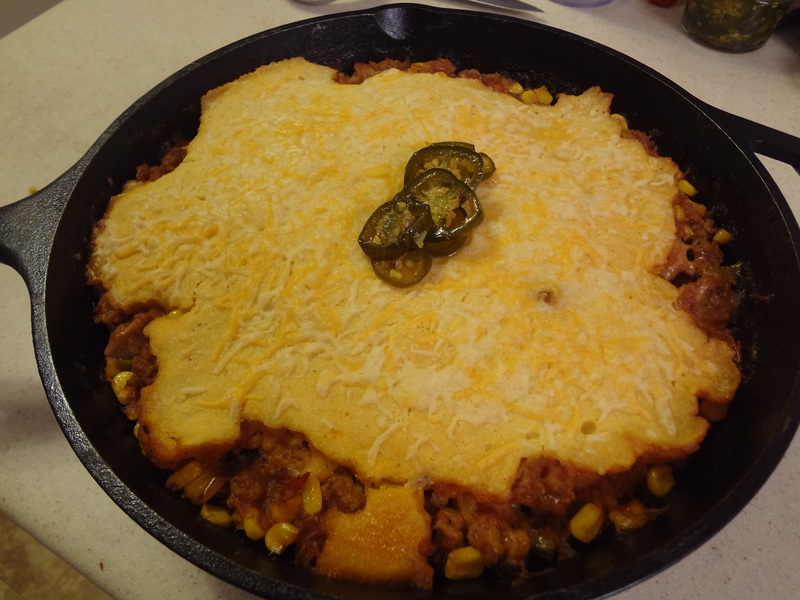 Prepare a 9 x 13 casserole dish with smear of the enchilada sauce on the bottom. 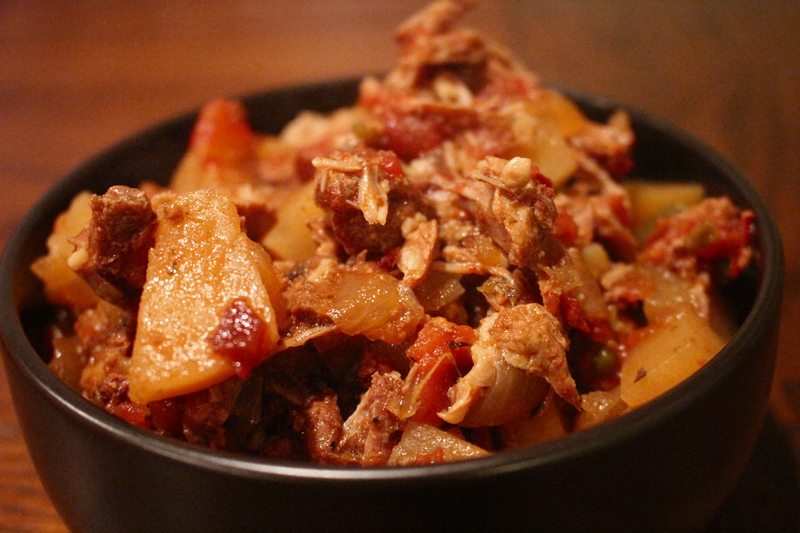 Take a flour tortilla and put a heaping mound of the chicken mixture in it and roll it up. Place it seam side down in the pan. 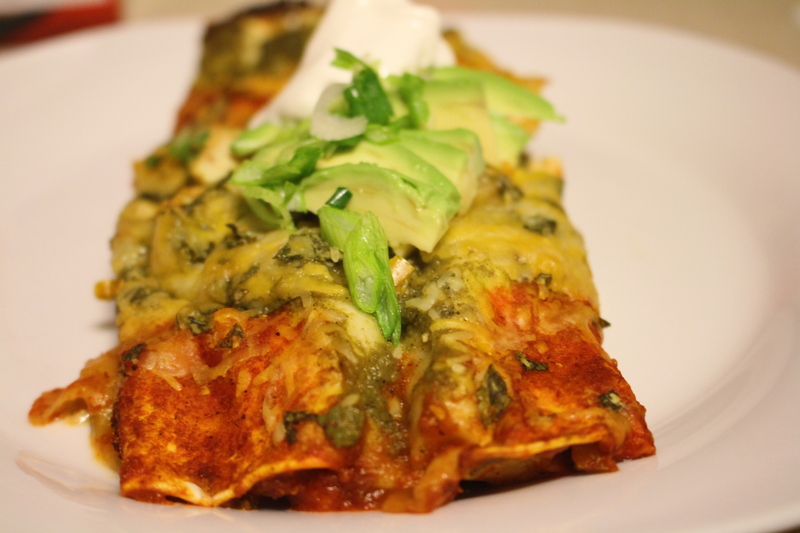 Top the rolled enchiladas with your enchilada sauce. 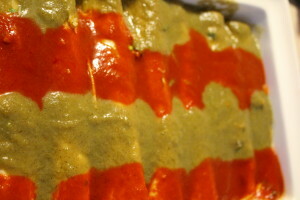 I did it in alternating stripes so you could get a little red and green on each enchilada. You don’t want to drown you Enchilfladas. You want them to have a nice coating of sauce. 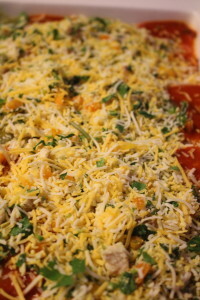 Now remember that leftover filling, mix the remaining ½ cup of cheese with it and sprinkle it over the top. It should be kind of bubbly and I like to have a tiny bit of crispy on the edges. I added a little sprinkle of green onion, sour cream and avocado when it came out and it was goooooood! Does this mean I’m not going to have a fit every time someone doesn’t go by the culinary bible of terms? No…..but I will allow for some explanation before I start cursing people in my mind.